Perejil means Parsley in Spanish referring to a genocidal event influencing Haiti still today. The tragic Parsley Massacre event took place in the Dominican Republic during the dictatorship of Rafael Trujillo in 1937. 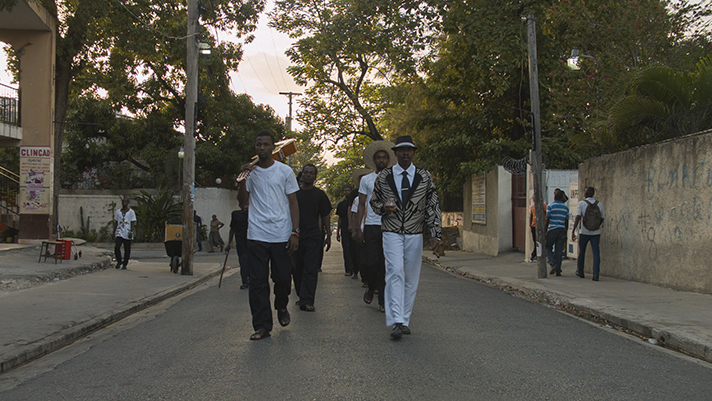 The word perejil was used to identify and separate Afro-Dominicans from Afro-Haitians. The pronunciation of the word parsley (perejil) determined their fate. 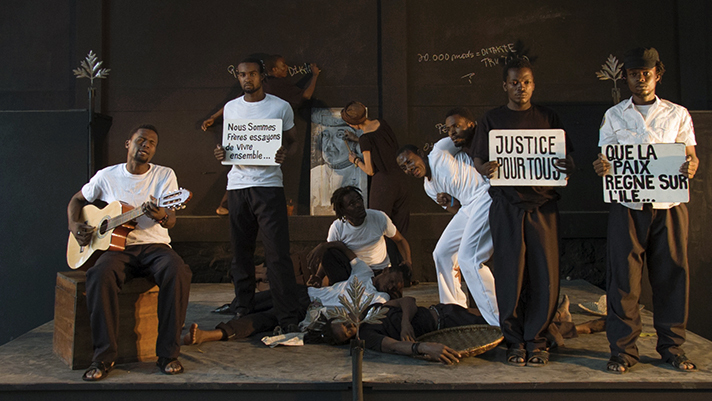 During a multidisciplinary collaboration at the Le Centre D'Art in Port-au-Prince, Haiti, a performance was scripted and produced to be enacted and filmed during a public event end of January 2016. The film premieres at AXENÉO7 in Gaitenau, QC, Canada in January 2017. Collaborators: Godson Antoine, Gérald Bellevue, Vincent Benece, Eddy Bissainthe, Rubens Corneille, Best't Destin Derilus, Josué Duel, Stanley Etienne Jean, Richard Etienne, Théophilo Jarbath, Medford Joseph, Gethcé Pierre, Jonathan Registre, Gerry Sterling.